Specializing in making progress with children 2-10 years old. At Integrated Roots Behavioral Therapy, we believe that our children are the center of the community. We believe that learning and behavior change are best achieved when we are surrounded by a committed, progressive and integrated circle. Integrated Roots Behavioral Therapy has extensive knowledge in the area of early intervention, applied behavior analysis and autism spectrum disorders (ASD) We provide a variety of services in the home, at our Integrated Playspace and in the community. We are a circle of professionals who work closely together and learn from one another to provide unmatched therapy services. We are committed to providing exceptional applied behavior analysis treatment and training. You can learn more about our team here. 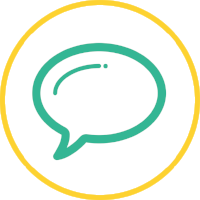 Whether you want to work together, ask a question about Applied Behavior Analysis, or join our circle of providers, please get in touch!